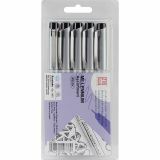 Zig Millennium Assorted Point Pens 5/Pkg - KURETAKE-ZIG Millennium Pens. 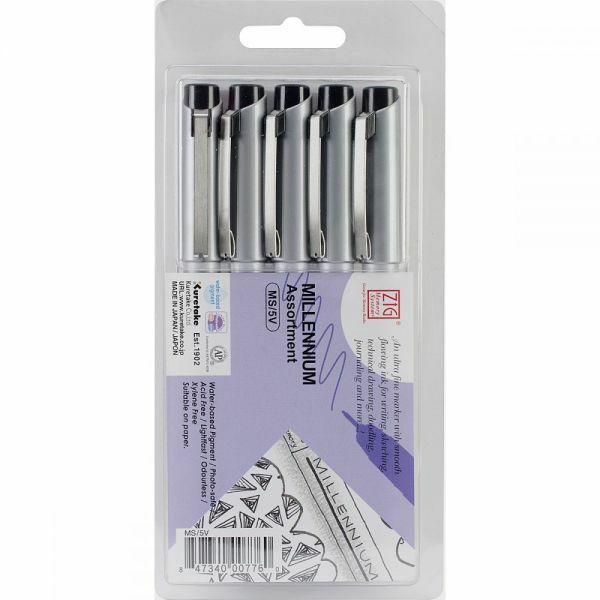 As part of the ZIG Memory System, these pens are great for scrapbooking and rubber stamping because the ink is photo-safe, acid-free, lightfast, and smear-proof once dry. This package contains five Black Millennium Pens: 0.2mm, 0.25mm, 0.35mm, 0.45mm, and 0.65mm tips. Conforms to ASTM D4236. Imported.